Today Google is launching a new version of Allo that will allow you to start calls in Duo straight from the app. Both Nick Fox, VP of Communications Products, and Amit Fulay, head of product for Allo and Duo, have made tweets today about the new update. Integration between the two services has been a long-time coming. The new feature is visible as the small Duo icon in the corner of the image above. The separation of the two services was met with confusion by some when they were announced last year, but it would appear that Google has finally decided that the time is ripe for integration between the two. Whatever reservations or reasons Google might have originally had for separating Allo from Duo seem to be gone. If a recipient of a Duo invitation in Allo doesn't have Duo installed, they will be notified and asked to install Duo. The update also includes the ability to add stickers to photos inside Allo itself. Though integration between the two apps might be a commonly requested feature, there's still no sign of a desktop client or SMS support for Allo, though. 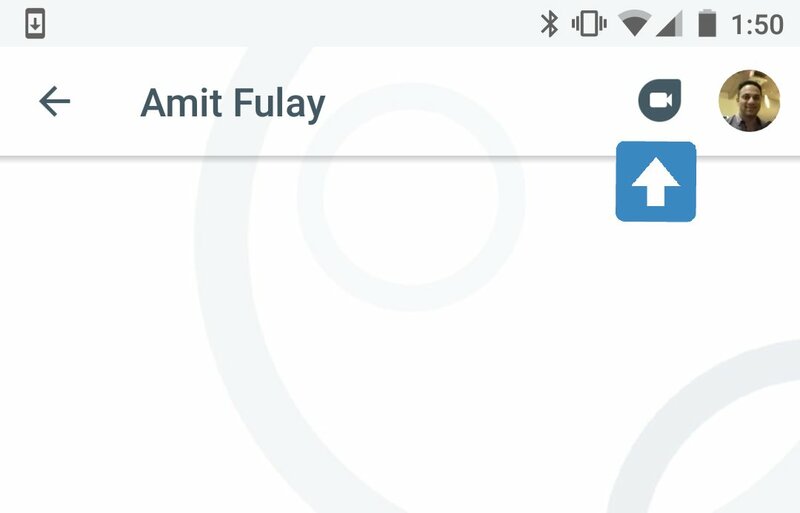 It doesn't appear to be live on the Play Store for us quite yet, but Amit Fulay says that it is out now. The update is likely an incremental roll-out. If you don't have either installed, you can pull both down over at Google Play and wait for the update to hit. The APK for Allo is now available at APK Mirror. And Duo is avaliable here. So if you are tired of waiting for the rollout to hit you, feel free to download it there and install.